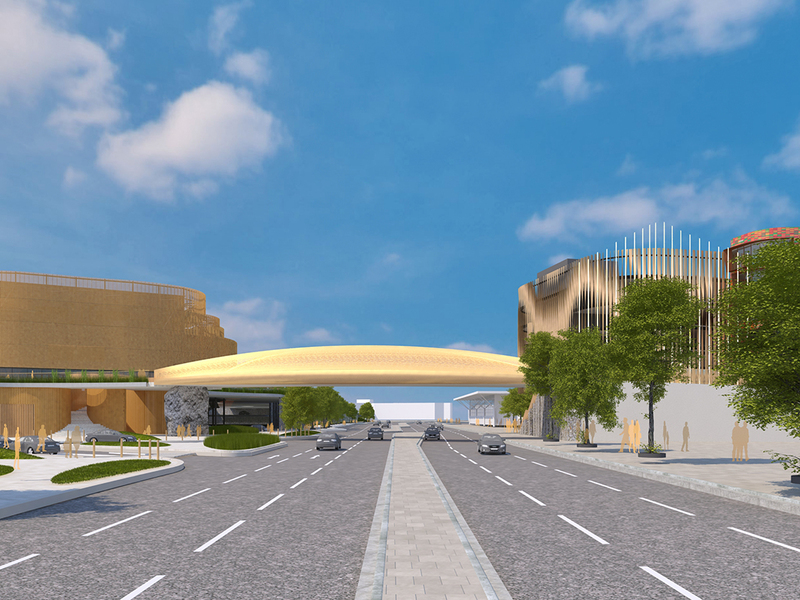 Bay is delighted to bring you an exclusive look at how one of Swansea’s landmark road gateways is likely to look within just two years. It shows an eye catching new pedestrian bridge over Oystermouth Road, a new 3,500-capacity arena to the left – on the existing LC car park – and a new commercial, residential and car park development to the right. The artist’s impression looks westwards along Oystermouth Road, a short distance east of the existing pedestrian bridge which is due to go. The image shows key elements of a £100m regeneration programme known as Swansea Central Phase One, being considered by city planners for approval this month. Our other image (right), looking eastwards from high above the Oystermouth Road/West Way junction, reveals another key element (front right) – a coastal-themed parkland on top of a new two-storey car park. Sketched in behind the arena is a hotel, part of future plans for this high-profile location. If planning permission is granted, Swansea Central Phase One will be built over the coming two years. “The plans are exceptional. Local residents and businesses will be inspired when they see them. “We’re already pushing ahead with the arena complex, firstly with enabling works taking place now in Wellington Street alongside Tesco. “The aim will be to complete the build by late 2020. We want Swansea to become a major destination for tours, acts, conferences and events, which will boost our city centre economy by more than £40m per year and create hundreds of new local jobs. 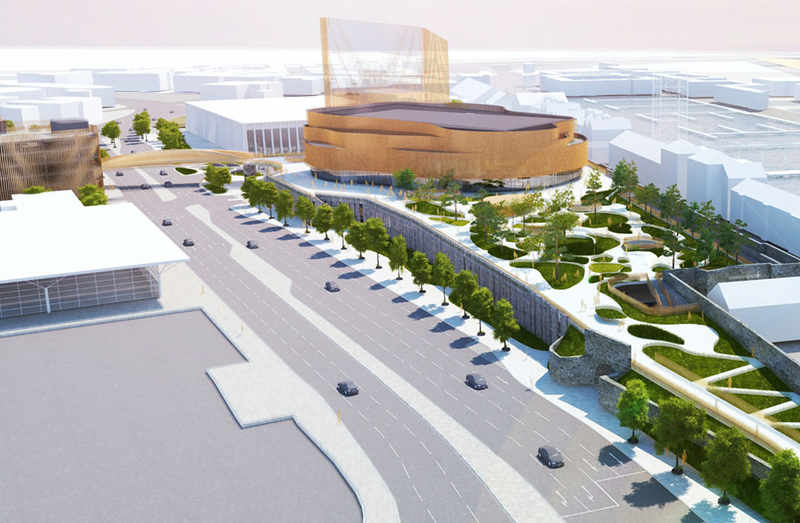 “Swansea Central Phase One will be a world-class development, creating jobs, boosting the economy of Swansea and delivering a one-of-a-kind arena with aspects not seen in the UK before. “Local residents and businesses will soon see a transformed city centre that is a truly great place to spend time, live, work and enjoy. 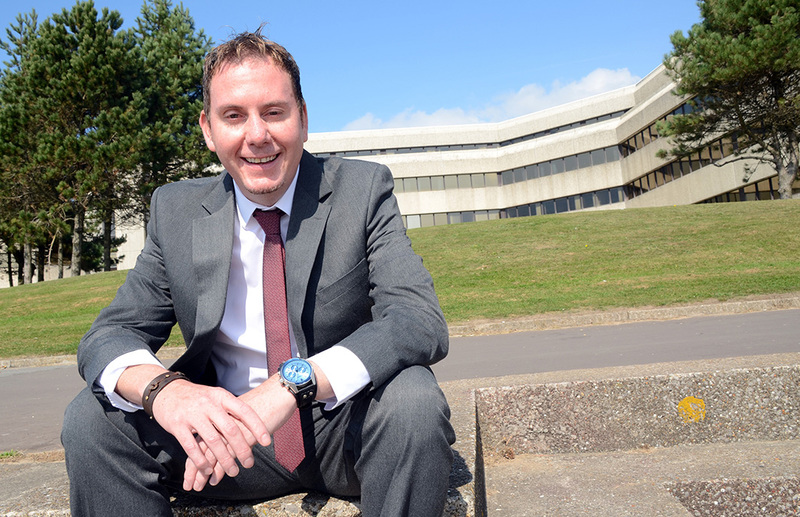 “Working with our partners, including all involved in the £1.3bn Swansea Bay City Deal, Swansea Central Phase One is just one part of our vision to bring more people into the city centre – to enjoy their leisure time there, to shop, to set up home and to go to work. Outline planning permission has already been granted for Swansea Central Phase One. Swansea Central Phase One will bring a total of more than 20,000 square metres of public space to the city. This includes the new parkland – with parking underneath. It will be the first new park in the city since Victor-ian times. It will be bigger than a football pitch, will help connect the city to the coast and will support city living. Pedestrian access and transport will be improved thanks to the new bridge, which will connect the city centre with the arena and Marina. It will be on the same level as shops, cafes and restaurants and strengthen the city’s connection with its waterfront. There will be more than 900 car parking spaces as well as highway improvements. Rivington Land, appointed by Swansea Council, is development manager for Swansea Central Phase One. The architects are ACME, an international practice with offices in London, Berlin and Melbourne. Operators ATG will carefully plan the events programme to dovetail with other activity around the city. There will be strong communication with other local attractions, neighbours and audiences. Staff will be hired and more than 180 events – including music, comedy, musicals, family, dance and conferences – would take place. The programme will combine the best in UK touring – applicable to the arena – with work that involves the best in Welsh culture. The arena’s decorative cladding includes a proposed integrated LED media lighting solution. The lighting will activate the building in the nightscape and communicate to the public by displaying continuous and dynamic colour effects, abstract artwork and video playback. It will be optimised for views of around 200 metres away. The LED lighting design aims to accentuate the elegant form of the bridge, provide a consistent glow of illumination through the perforated sides, and pro-vide sufficient functional illumination for pedestrians. The coastal landscape of Swansea Bay provides the inspiration for the park’s hard and soft landscaped areas. It will be designed to be as inclusive as possible, for all ages and backgrounds, for those visitors to the town centre as a place to enjoy lunch or rest after shopping or if visiting the arena for an event, as well as for those users or families visiting the park specifically to enjoy some green space away from the town centre and wanting to dwell longer. It will have a food and drink kiosk, with toilets. The scheme’s landscaping introduces new green spaces, which together with existing green spaces, provide a series of open space “stepping-stones” to form a green artery through the complex. It aims to create public space which is visually and physically link-ed to the site and neighbouring locations. It reinforces Swansea’s coastal, historical and industrial heritage.